To truly experience Savannah, you'll want to get out and explore the city. Explore our parks and squares, stroll along River Street and City Market, and enjoy some of our unique new dining establishments. 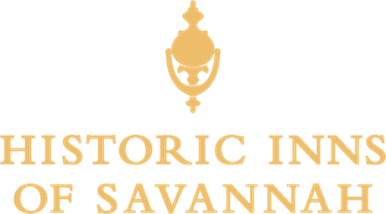 Filter your interests on the map below and see how easy it is to explore Savannah's treasures. Things to doClick on the titles below to show/hide points. Click on +/- to expand/collapse the list. • The Historic District is approximately 1.5 miles, north to south, from River Street to Forsyth Park, and approximately 1 mile east to west, from East Broad to Martin Luther King Blvd. • Bull Street is the dividing line between east and west. On the south side are odd-numbered buildings, on the north side even numbered. • Walking from Forsyth Park straight north to the river takes 20-25 minutes. • Walking from Bull/Broughton to City Market takes 5-7 minutes. • Walking from Bull/Broughton to Jones Street takes 12-15 minutes. • Walking one end of River Walk to the other takes 15 minutes. • The Savannah Airport is 10 miles from downtown. • Tybee Island is 18 miles from downtown. • Bonaventure Cemetery is 5 miles from downtown. • Wormsloe is 9 miles from downtown. With Savannah Pedi-Cab, passengers pay what they think is fair. "Trips for Tips"
Many trolley tour companies offer free parking for their customers and the ability to get on and off at various trolley stops. The dot Fare-Free Downtown Transportation System, is comprised of two interconnected transportation platforms, the Express Shuttle and the Savannah Belles Ferry, all wheelchair accessible; all fare-free. Express Shuttle providing service to 10 downtown stops on a 20-minute frequency. Savannah Belles Ferry providing daily service between River Street and Hutchinson Island.